Who has the most dangerous city job? Hint: It’s not the cops. For the past six years, New York City’s sanitation workers—uniformed in green—have experienced a higher rate of line-of-duty injuries than most of the city’s workers, second only to firefighters. In fact, according to the Bureau of Labor Statistics, the jobs performed by sanitation workers are among the most dangerous jobs in the nation, right up there with pilots, fishermen and loggers. In the nation, Refuse and recyclable material collectors had a rate of 33 fatalities per 100,000 workers, compared to a fatality rate of just 3.2 for all workers in 2013. In New York City, sanitation workers are responsible for picking up 12,000 tons of trash each day, and for sweeping and clearing snow and ice from 6,000 miles of city streets.According to the Uniformed Sanitationmen’s Association, an average New York City sanitation worker will walk 15 miles and lift 26 tons of garbage in one week. In 2013, there were about 1,450 line of duty injuries to sanitation workers and supervisors in the city. Harry Nespoli, the president of the association, said that the biggest threats on the job are being hit by other vehicles or picking up garbage with hazardous materials—like needles or acid. 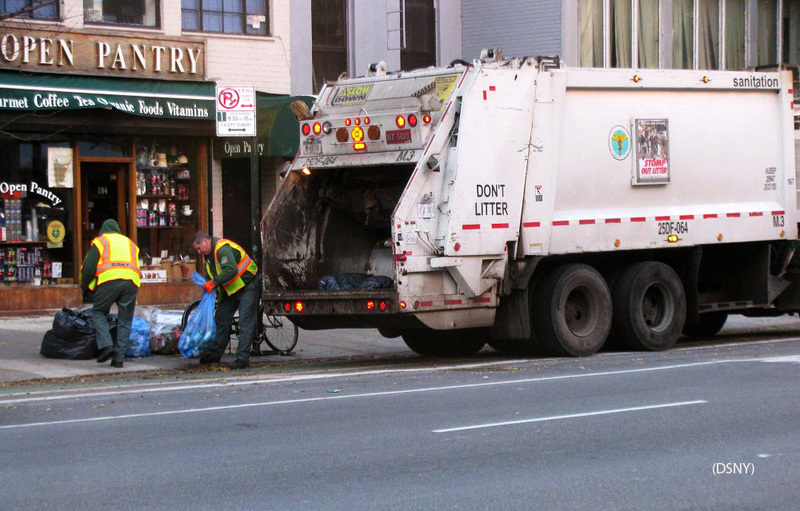 Accidents that sanitation workers experience can be horrific. New York’s Department of Sanitation had its 17th line-of-duty fatality since 2000 when 43-year old Steven Frosch was killed last year. Frosch was performing maintenance on a street sweeper in a Queens garage, when another sweeper struck the man and pinned him between the vehicles. According to the Daily News, Frosch had had been a police officer for five years before trading in his blues for Department of Sanitation green. But many injuries are more mundane, including back injuries and wear and tear on joints. A report by the Citizens Budget Commission, a nonpartisan, nonprofit civic organization, links line-of-duty injuries to the lack of automated or semi-automated trucks for garbage collection. The report contends that the sanitation department relies mostly on human strength, and that each worker picks up an average of five tons of garbage each shift. Automated or semi-automated trucks use mechanisms that lift and dump trash into the truck, limiting workers’ movement on and off the truck, and lessening the amount of heavy lifting and direct contact with garbage. While automated trucks might keep workers safe, it could also take away their jobs. An automated garbage truck only requires one operator, and the Citizens Budget Commission says the trucks could cut the department’s labor costs in half. But according to the Department of Sanitation, New York City does manual collections because of the inability of mechanized equipment to navigate narrow streets with parked cars. A truck with mechanized arms that reach out to grab dumpsters on the curb “just does not work in New York,” said Dawkins. 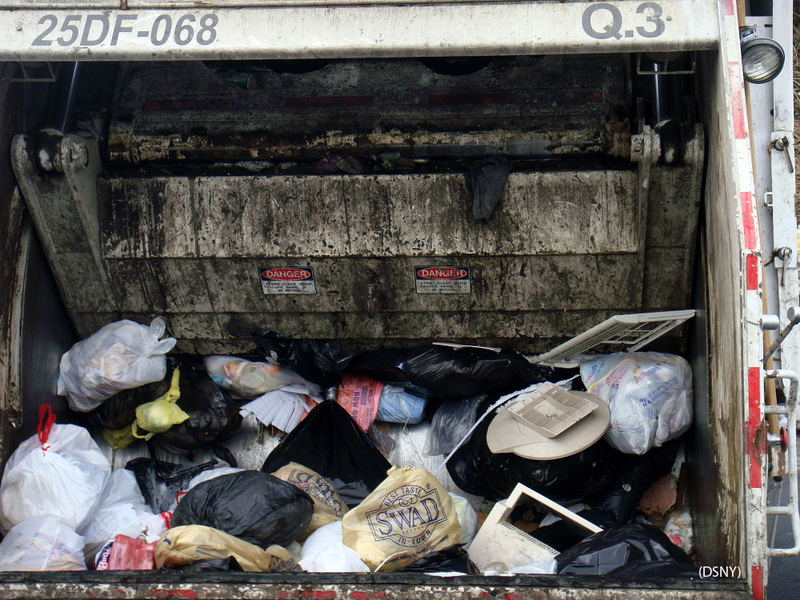 The Citizens Budget Commission suggested in its report that an automated truck could be feasible if the city implemented parking regulations that kept one side of the street clear of parked cars whenever trash is collected. Both Dawkins and Nespoli, the union leader, think New York’s drivers can make the streets safer for the department’s men and women in green. Zero Waste: An Admirable Goal. Is it Achievable?